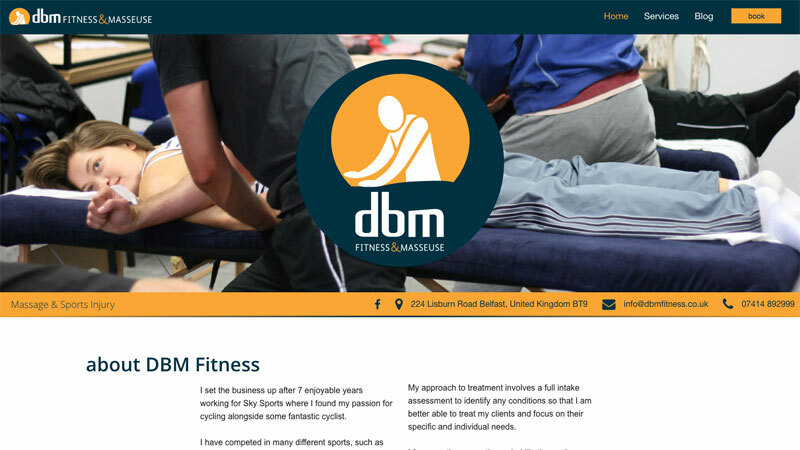 DBM Fitness is a sports injury clinic based in Belfast. We were initially contacted to provide a simple placeholder website, but after some initial consultation, the client decided on a self-updating site using our Simple CMS add-on with the site design based our Bike Fit template. Other than the colour change and different content there was minimal customisation done to the template. As the content is self-updating we only added the basic info, the client then expanded this himself.